I never forgot that. To be honest, I never realized at the time what being born, or not being born Catholic, had to do with following any religion for any reason. But there were parts of Wicca I always liked. Its close relation to nature. Ritual. Reflection. Seeking wisdom. Acknowledging the old ways and the old gods. Forming and shaping parts and elements of the belief to fit your own worldview. A very personal and eclectic system to be built, if that’s what you wanted. Over the years I wondered if that was what I wanted. I remain unsure to some degree. But I have decided to follow Wicca for a calender year (loosely, Samhain to Samhain) and delve into it and learn. My reason for this is twofold. One, just by learning more about this cannot but help me with my fiction. I write a lot of dark fantasy. I have never been well-steeped in some facets of that world. Knowing more about it, learning more about it, can only help me as a writer if I continue to write. Second, I honestly do like the nature aspect of this. Helping me connect more to nature can only be a positive thing. Anyone who follows my blog or knows me well knows how much I like camping and getting away and being by myself. I am hoping I can find new synergy here. Maybe, maybe not. I don’t care. It’s the journey that interests me most. As a writer I am always more interested in journey than in endings and beginnings. Seeking wisdom. Looking into yourself. Being alone without being lonely. That has always been who I am. I’m going to blog about this and I am going to approach it legitimately. Now, I certainly do realize that with my deep background in physics and chemistry and skepticism leavened with an INTJ personality there may be some bumpy roads ahead. That’s all fine. For what writer alive thinks human life isn’t about conflict? At the core of things, what else is there to write about? What else do we write about? So I am going to be very honest with myself about all this. I know there are some things I am going to have a hard time accepting. I may never accept any of it. Maybe I won’t like it. Maybe I’ll get tired of it. Maybe the pressures of the every day world will find a way to tear this idea from my consciousness. I’m all good with that. I’m a writer first. You think I am going to pass up the opportunity for potential story ideas? I don’t know how much of this I can do, either. I want to be honest about it and approach it openly, but I can’t lie to myself. I doubt I am going to have the time to celebrate the many-fold parts of this. But I will be honest about it, and my intent will be good, so I’ll see where it goes. So for one calender year I am going to follow Wicca, learn about it, do it, perform it, be honest to it. If I don’t like it I will stop. If I do like it I will keep going. No matter what happens I will blog about it and write about it here, and use all those experiences to broaden my fiction. There are many ways to seek the path. I think the eclectic one, a solitary path, is right for me. I am not interested in covens or anything like that. 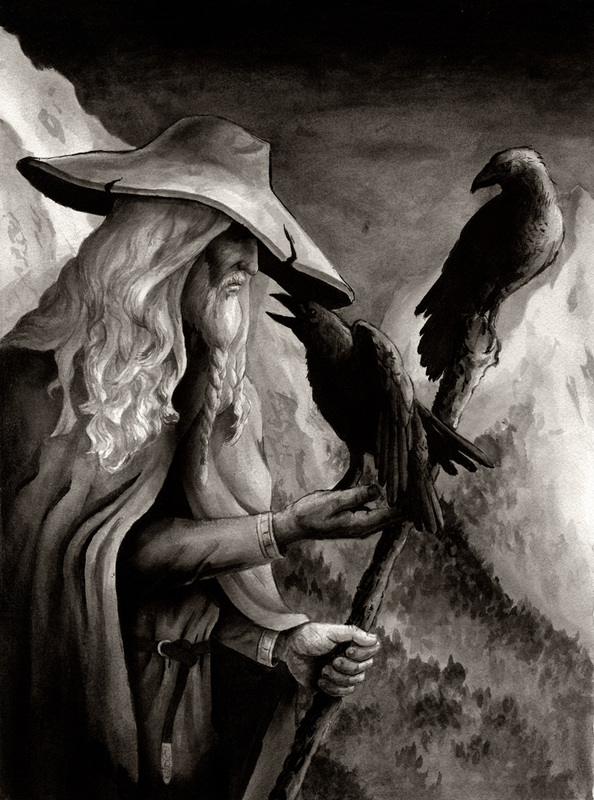 In Wicca there is often the Lord and Lady you pay homage to plays a prominent role. But you can choose other pantheons. Lots of witches do and that seems to be a path I would like to explore. 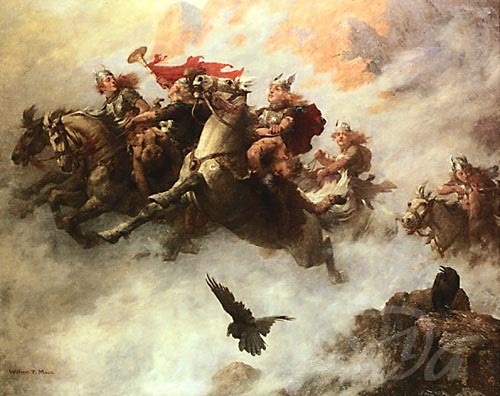 The Norse gods have always interested me and here’s a way I can delve more deeply into that mythology. To really get at the bones of the myth and immerse myself in it without being fanatical about it all. That’s why I have decided to go with Odin and Freya. 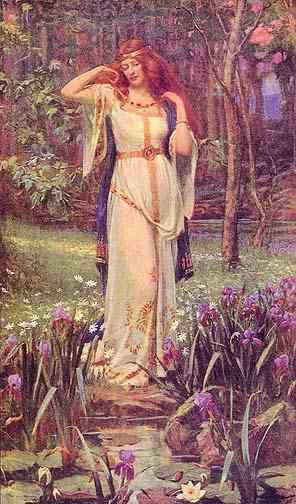 Perhaps Frigg in place of Freya? I’ll have to think about it and do more research. It remains to be seen which one speaks to me the most. Conventional Norse choices, I suppose, but they seem right to me at the moment. Which is not to say I might not turn to Lord and Lady or even other gods like Egyptian, Celtic, Japanese, or what have you. There are a lot to choose from. You can follow whomever you like, who speaks to you, as long as you have good intent. But I think Norse feels right to me in a very deep and personal way. Especially these gods known for wisdom and strength and knowledge and beauty. I like that. I like that a lot. The eclectic part will work better for me rather some something more structured like, say, Asatru. Although there are parts of Asatru I like as well. Oh, well, I also get to decide if I use a Pentacle, Valknut, or Triquetra on my altar. Not that I have an altar. Gotta make that someday. Fun! So there you have it. This is what I am going to do. Well, aside from writing. I’m going camping tomorrow in Santa Rosa, NM and later Palo Duro if I’m not too tired. I intend to finish the Haxan story while camping, do a ton of reading and think about this decision at more depth. While I am out I am going to look for a wand. They say the tools of your altar find you when you are ready. We will see about that. This is something that has been building in the back of my mind for more than half a decade now. Now I am going to do it and learn what I can and have fun. Thanks! I’d like to pick your brain about this more when I get back. It was interesting reading this because like yourself I come from a Catholic background and for the past few years I’ve been studying Wicca/Paganism and recently (though still in a closet of sorts) to identify as an eclectic as well. Thank you for that! It has helped me as a writer because it forces me to view things in a different way. That has been very beneficial. I am slowly getting things together. Soon I will do a ritual bath and a dedication ritual. Come to think of it, I can’t help but wonder how many Wiccans/Pagans come from the Catholic church. It seems many I know have this background, but maybe that’s just my limited perspective. As I was explaining to another a friend awhile back. Catholicism definitely is one of the more, for lack of a better term, ritualistic denominations in Christianity so for artists or people blessed or burdened with certain gifts, you can be more attuned to things that you probably wouldn’t in other denominations. What’s been interesting for me is that Wicca/Paganism has provided the other piece of the puzzle as it were to explain certain things that I never was able to ask or explore in Catholicism. You know, you bring up an excellent point which I myself had forgotten…even though I used to (and still kind of do) brag about it. Nobody…and I mean nobody does pomp and ceremony better than the Catholic church. Given that ritual and ceremony play such an integral role in Wicca/Paganism it’s no surprise Catholics who have fallen out with the church, or become disillusioned with corporate religion of any stripe, might be attracted. You made me think about this in a different way and I thank you for that. I think you really hit the nail on the head. It’s definitely one of the reasons I have become attracted to Wicca. It helps feed and take care of my spirituality without making me feel I have had to compromise something personal. I really like that aspect of it a lot. My friend also pointed out that many Catholic churches use the same type of incense for their rituals that Wiccans do. And exorcisms, still a real thing. One thing I’ve learned that while there are many differences when it comes to religion or belief systems, there are some universal similarities. I ordered some altar supplies and am now waiting for them to arrive. I am looking forward to working on my altar. I think I might blog about my search for a wand next. After weeks of searching, starting with basic Wicca where I have been most drawn, I stumble upon this page. It is reassuring to read as I have come to very similar conclusions. I am starting my path as a Nordic Sea Witch. I am excited for a new beginning starting with Yule!